Explain this joke to me. 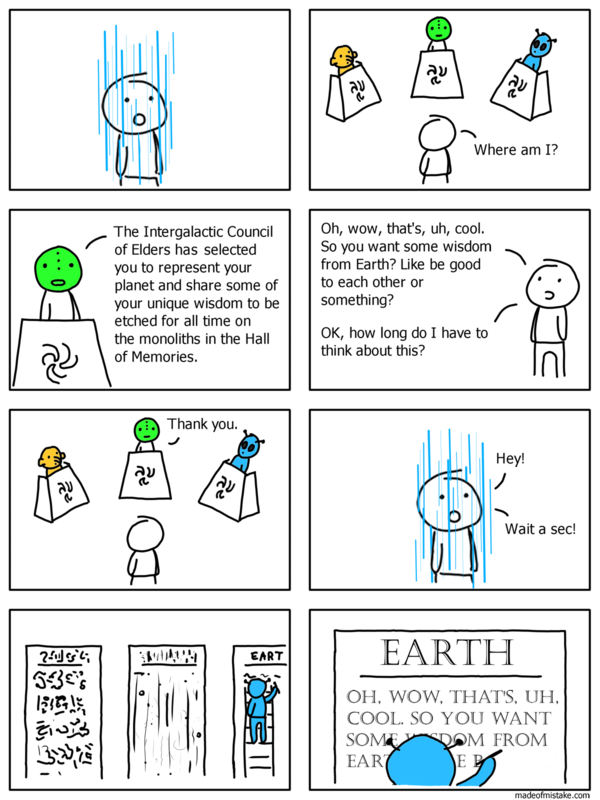 Aliens love wisdom but they are impatient. Ironically to them 'we' are the aliens. Really makes you think.